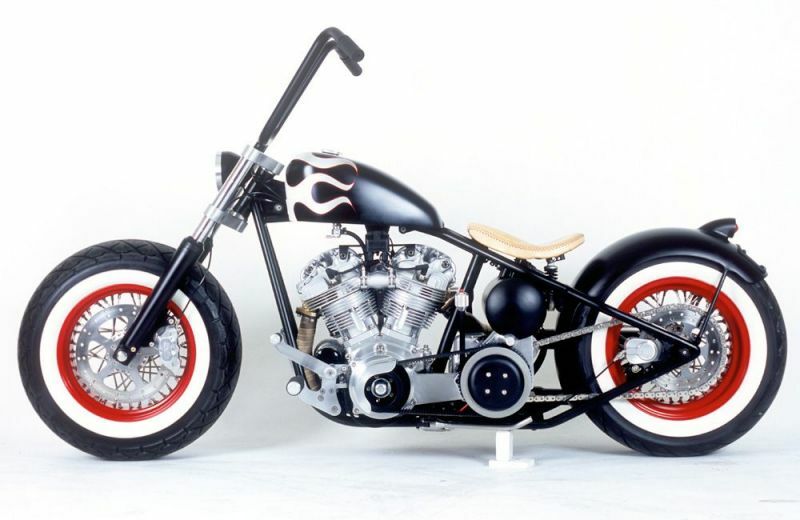 Meet the HOTROD. 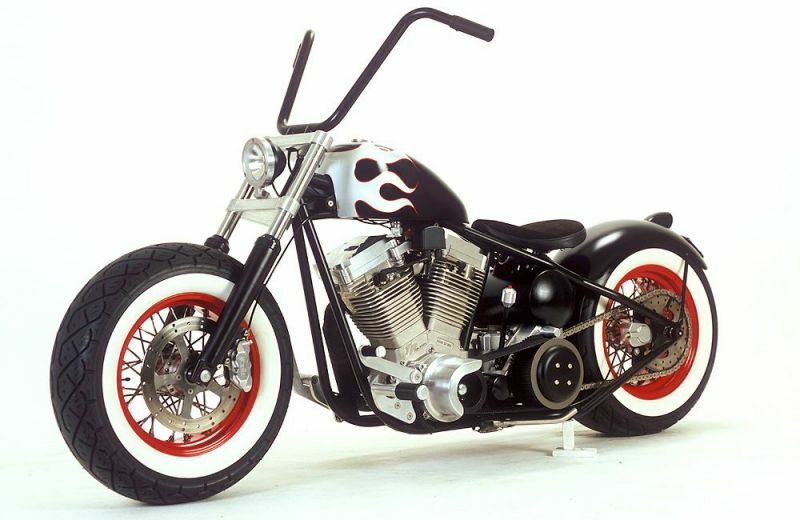 This was our offering for Discovery Channel's "World Bike Build Off", which first aired Sept 2004. 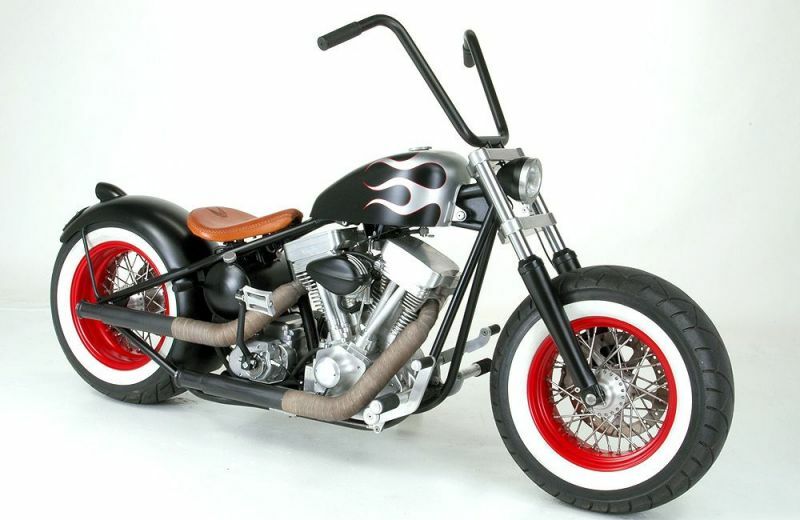 Old School class throughout, with knuckle motor, kick-start, hand shift, foot clutch, satin paint, flames, red rims, whitewalls etc. What is that tricky red button in the shift knob, I hear you ask? It activates a line lock to hold the brakes on. Clean bars and hill-start capability!